Bill Evans composed this song soon after leaving the armed services. He wrote it for his young niece, Debby, the daughter of his brother Harold. With the lyrics by Gene Lees, “Waltz For Debby” became a standard for jazz and popular singers. “Waltz for Debby” was recorded on September 4, 1964 and released in 1964 on the album Who Can I Turn To. It was arranged by George Siravo. 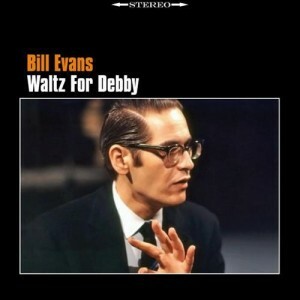 “Waltz For Debby” was recorded in June, 1975 and was released that year on The Tony Bennett / Bill Evans Album. “Waltz For Debby” (alternate, take #11) was recorded in June, 1975 and was released that year on The Tony Bennett / Bill Evans Album.